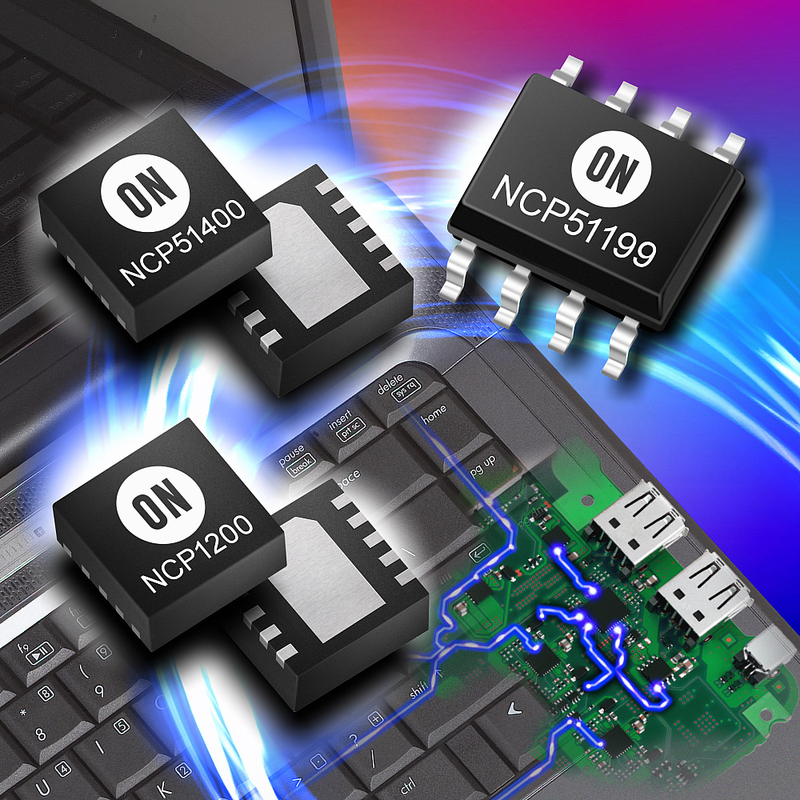 ON Semiconductor has strengthened its low drop-out (LDO) linear voltage regulator portfolio with the introduction a series of new high-performance devices to support double data rate (DDR) memory. The NCP51200, NCP51400, NCP51510, and NCP51199 feature built in Power MOSFETS and are targeted at a wide variety of applications in the computing, data networking, industrial and handheld consumer markets for specific applications such as SDRAM DIMM memories, servers, routers, smartphones, tablet computer platforms, set top boxes, smart TVs, printers, and PC/laptop motherboards. AEC−Q100 qualified versions are also available for automotive applications including embedded GPS mapping systems, Infotainment, and Wifi and Bluetooth communications.These LDOs support DDR1, DDR2, DDR3, LPDDR3, DDR4 and LPDDR4 standards with termination voltages (VTT) down to 500 millivolts (mV). Each is capable of actively sourcing and sinking a full 2.0 amps (A) when used with DDR4 and LPDDR4. Additionally, the NCP51145 can support up to 1.2A when used with DDR4 and LPDDR4. The NCP/NCV51199 can source and sink 2.0 A and 1.5 A currents for DDR2 and DDR3 respectively, while the NCP51200 and NCP51510 are specified for 3 A peak current operation and support remote sensing. These highly integrated DDR termination LDOs also benefit from soft-start, on-chip thermal shutdown and (for some devices) under-voltage lockout mechanisms. Each device has a high-speed differential amplifier which provides ultra-fast response to both line voltage and load current transients. All of these devices are also compatible with DDR1 and DDR2 allowing for easy upgrades to newer DDR memory. A temperature range of -40°C to +125°C is specified, with an extended temperature range of +150°C offered for automotive versions.